Sony aims big, wants to cover 5G technology and showcase a new dual selfie technology, but shelves its default Android launcher. What's up? No one likes mixed signals, but it seems Sony can’t stop sending them, whether it likes it or not. Sony’s smartphone sales have been gradually dipping since 2014. When they finally dropped to an all-time low of 13.5 million units in 2017, everyone believed it was the end of the road for Sony Xperia. 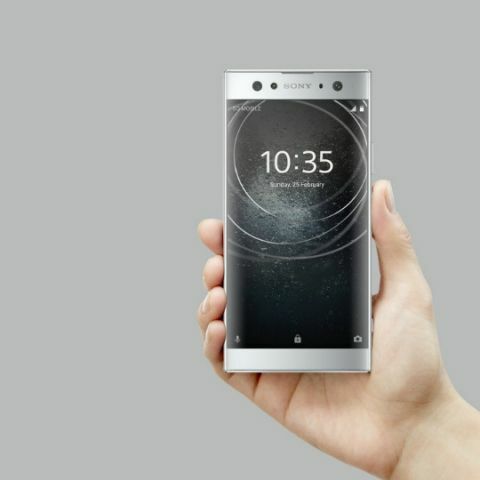 And the launch of the rather uninspiring and unmodern Xperia XZ2 in February this year did little to correct the fall, especially in a world of smartphones boasting dual cameras and very narrow bezels. Nevertheless, Sony announced in a presentation last month that it would drive its efforts afresh and focus heavily on 5G technology. In what seems to us like another cruel twist of fate, Sony has now announced in a Google Plus post that a business decision to kill power on the Xperia Home Android launcher has been taken. “A business decision has been taken that our current launcher, Xperia Home should enter maintenance phase. This means that no new features will be added, but maintenance will continue for as long as deemed necessary,” writes Erika Prymus, moderator for the Xperia Home Open Beta community. With Sony claiming it’s got big plans for taking better selfies (supposedly involving dual selfie cameras and selfie-enabled AI), we can do little but hope Sony is finally on the path to growth again. Sony has been lauded in the past for keeping its flavour of Android close to the stock version. Sony’s default Android launcher too has been non-intrusive in design and pleasant to use. But now, it’s no longer going to get new features. What could Sony possibly be up to then? We conjecture that Sony is giving up the well-aged Xperia UI for Android's stock UI for use in its future Xperia smartphones. It’s working well for Nokia and its new generation of phones and it could work just as well for Sony’s phones too. Besides, Sony has released a Google Play edition (a phone running the stock version of Android) of its smartphones in the past, like the Xperia Z Ultra. With all that said, that Sony is working on an entirely new Android flavour by itself isn’t a theory we can (and will) dismiss right away. The coming months should tell us more.